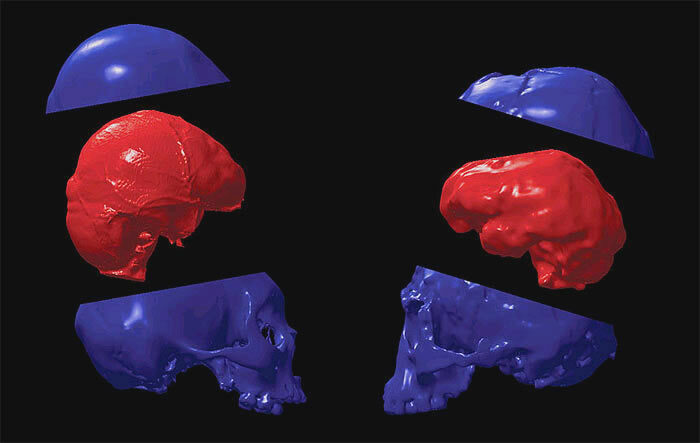 check out this cool Image comparing modern human skull (left) to that of Homo Floresiensis (right). I don't know I thought it was preatty cool. The discovery of this species of hominiod is probably one of the most over-looked huge discovery in the past twenty years. What are ya, homo floresiensis?